Yikes that's an off centre picture! Sorry about that, but the card is still cute. 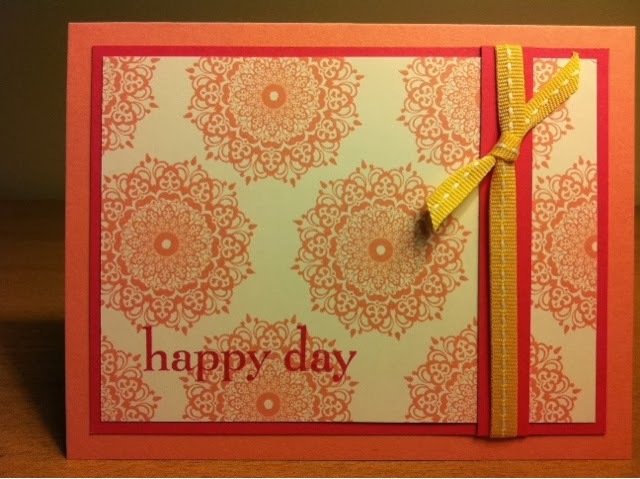 It uses Crisp Cantaloupe and Strawberry Slush card stock , the Happy Day stamp set and a little Daffodil Delight ribbon. The Medallion image is stamped repeatedly in Crisp Cantaloupe to create the look of designer paper, then the greeting, happy day, is stamped in Strawberry Slush. This stamp set comes with three other sentiments and any of them would look great on this card. 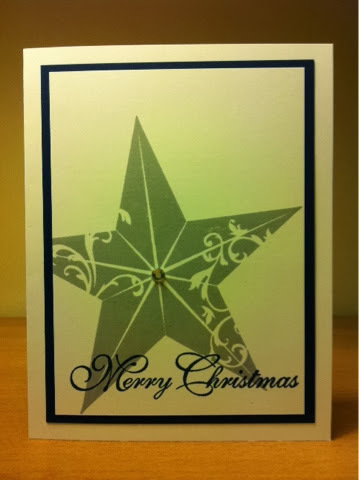 Same layout with a single bold image, Christmas Star stamped in Smoky Slate and the sentiment in Night of Navy. A large Rhinestone is added to the centre for sparkle. Love it! It's a Chapstick or lipstick box! Super cute right? Everyone needs one of these in their stocking this Christmas! 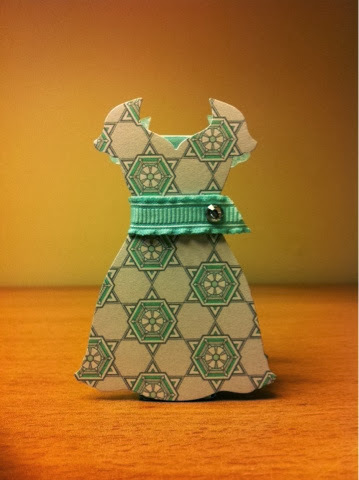 It's made with a small pool party box (click here for dimensions) and two dresses cut from the Winter Frost Designer Series Paper Stack using a dress from the Dress Up Framelits and the Big Shot. We decorated with a small length of Pool Party Ruffled Ribbon and a large Rhinestone. Scoring the card stock for the box takes a few minutes, but once that's done it's a snap. This project just makes me happy!